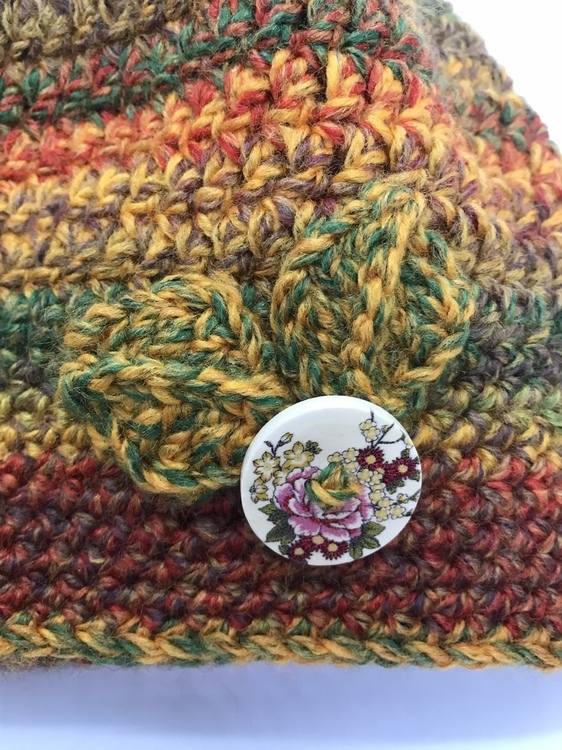 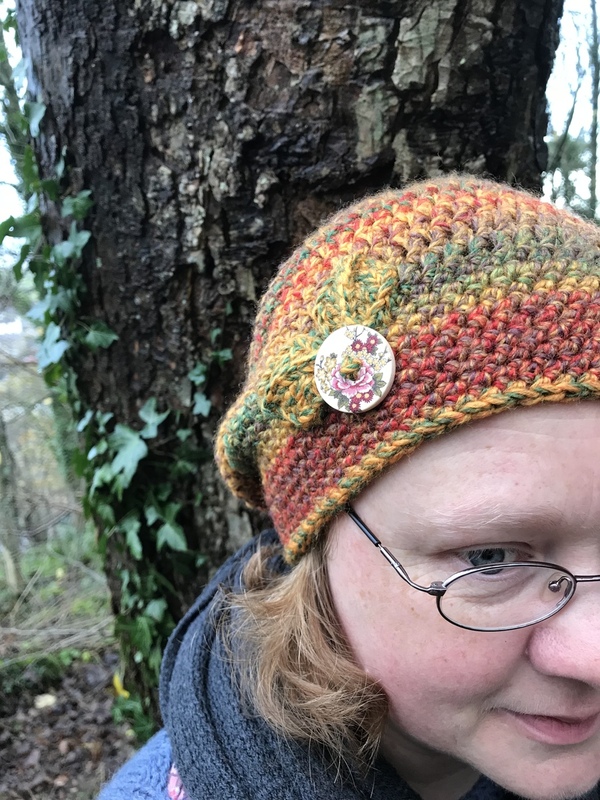 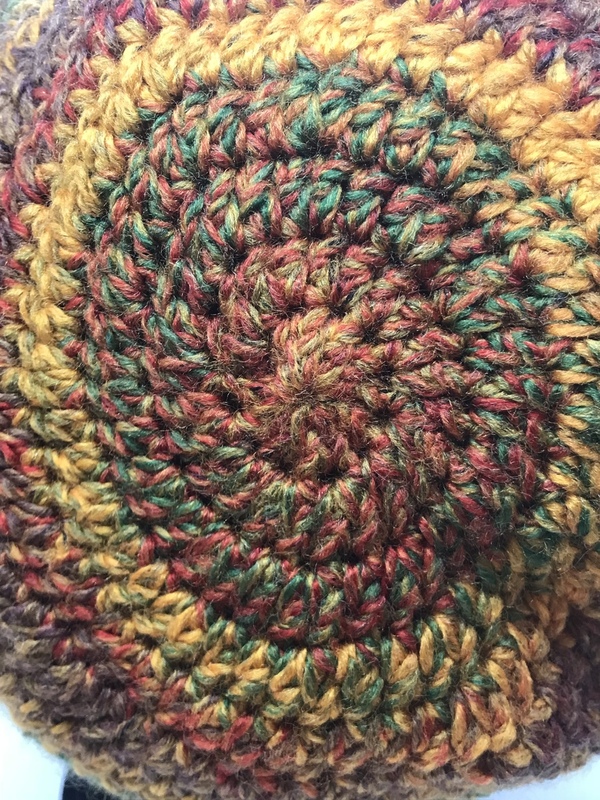 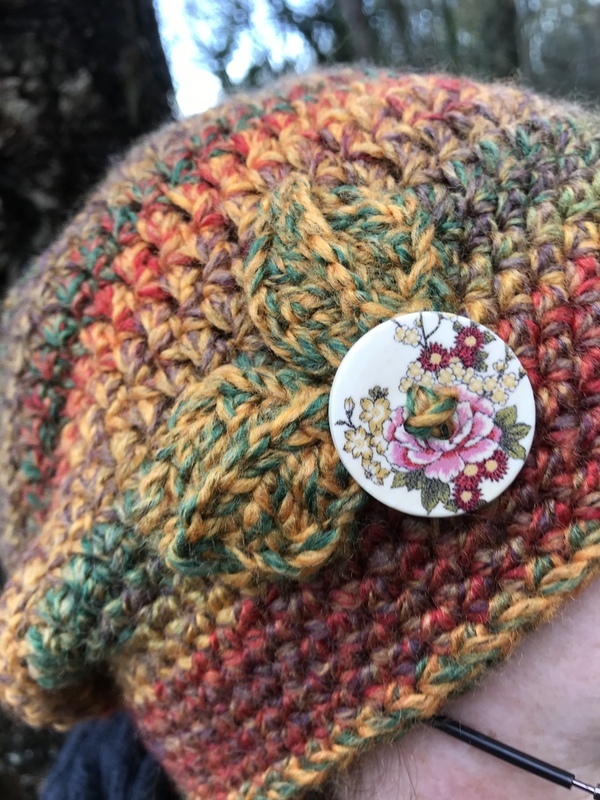 Another one of Jan's beautiful hats! 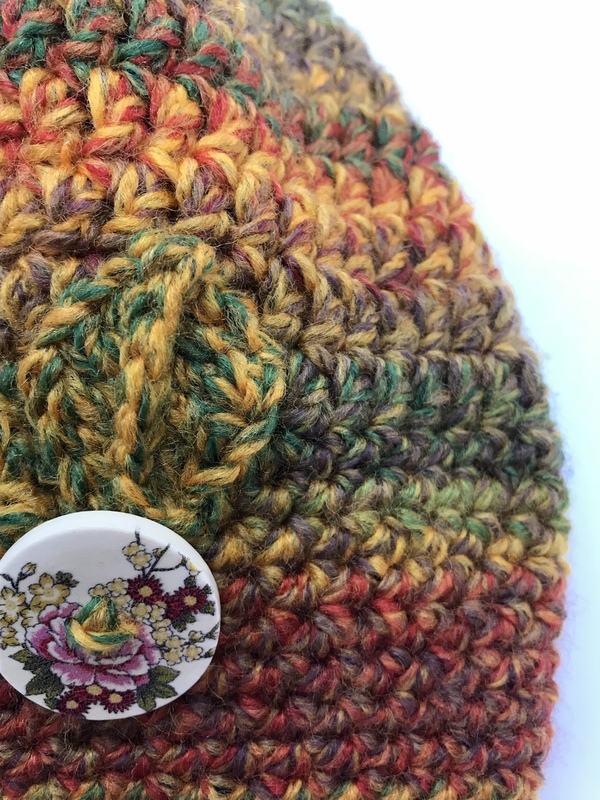 We love the colour of this wool; it reinds us of the autumal colours of the leaves in the trees. The wool is soft and warm and is a lovely addition to a warm winter walk! 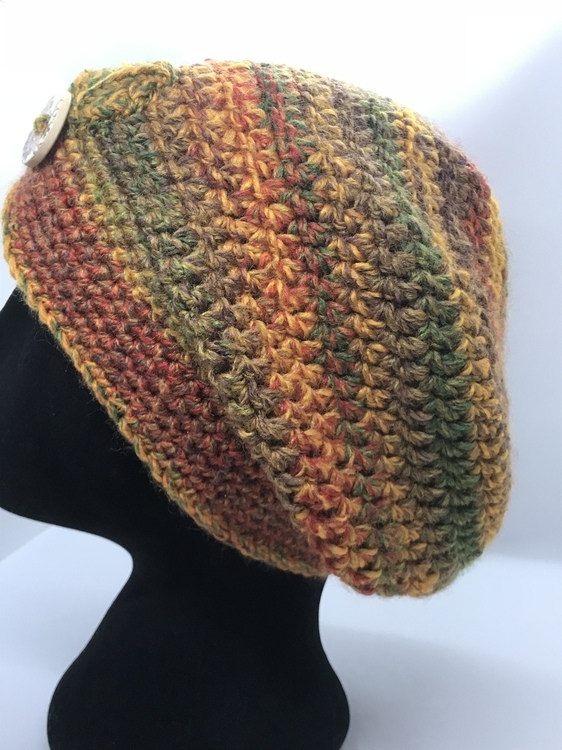 We can't stop wearing this style and always recieve compliments on the unique appearance of this hat!